A rectangular cast iron plaque is attached to a slightly larger stone slab embedded in the ground. 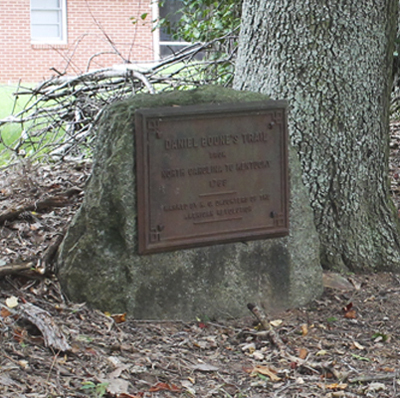 The marker at Huntsville was the first of the Daniel Boone’s Trail markers placed by the Daughters of the American Revolution in North Carolina. 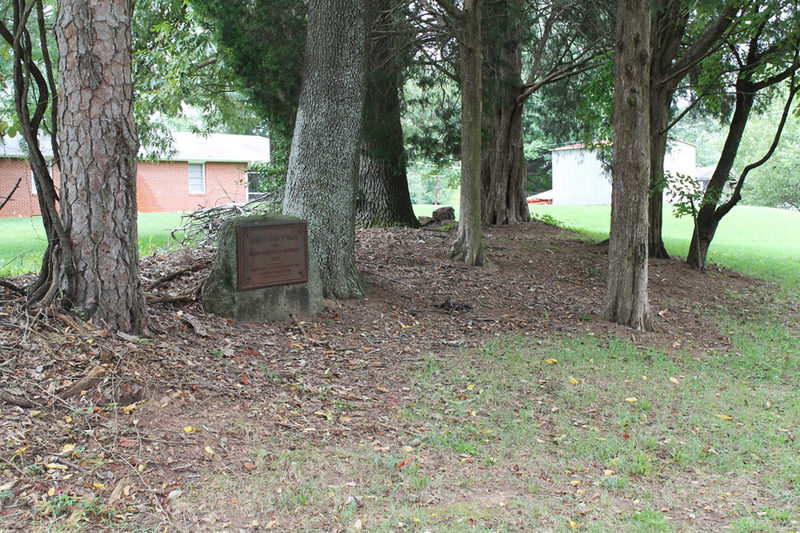 The marker is located off the Courtney-Huntsville Road on an unpaved road remnant running behind homes facing the highway. When placed the address would have been at Mulberry Road and High Street. A Daughters of the American Revolution website identified the closest street address as 4021 Mulberry Fields Road, Yadkinville. The memorial marker stands in a rural area, surrounded by mature trees.